Charlie Connelly is a businessman. When he was completing his college degree, he was looking forward to a life spent in the corporate environs and he seemed fairly content with the prospects so he was a tad surprised at himself when, receiving a recuitment offer from the quite new Central Intelligence Agency, he jumped at the chance. He was not exactly thrilled with hearing that he would have to take paratrooper classes as part of his training but most of the rest sounded good. He turned down other offers of employment as he waited for training to begin, only to be told shortly before the agreed date that the CIA's budget had been slashed over a poor performance in the eyes of then President Truman. Connelly had to scramble to find a real job. Many years would pass and Connelly would rise in position with the large corporation who had hired him. He was a vice-president with a wife and several children and a job that took him around the globe frequently as he worked in whatever capacity his employer needed, whether it was sometimes babysitting small partners in South America or conducting negotiations with a China revitalizing after Nixon's visit. That is when the Agency came back. Connelly was not particularly pleased to see them. He recalled that a couple of years after his first dealings with them, they had shown up smilingly saying they now had room for him. He told them then to do naughty things to themselves. After now a considerable number of years, he was ready to repeat his suggestions when something stopped him. Was it patriotism or curiosity or just a smidge of boredom that had him agree to, while maintaining his normal work, keep his eyes and ears open and be willing to report back what he saw in regions where the Agency was low in resources? He was never quite sure but he decided to say yes. The trouble with such things, he found, was that each time the Agency called, represented on occasion by the quite lovely Karen, they wanted just a tad more from him than last time. And Connelly was not getting any younger. Moreover, he was not trained in spycraft. He did not know dead drops and blinds and Moscow rules and the best way to detect a tail or how to disarm a gunman. He knew business and he knew people and he could observe. That is what the Agency wanted from him. The fact that as he got more involved, he realized that knowing these things would have helped a lot. Charlie Connelly is approached by his former CIA recruiter for assistance. Now a normal citizen with kids and a mortgage, he is surprised when the man and a beautiful female agent need his help. Giving it, though, gets him betrayed by the Agency and alone in the Ukraine. Now retired from business, Charlie Connelly is asked to consult on a mining project in the mountains of Kazakhstan. The Agency also has a request of him on this assignment. And a killer whose goal is a mystery is striving to keep Connelly and his companions from leaving alive. The murder of a former CIA spymaster has gotten the Agency in a twist but in view of recent embarrassments, they look to outside help in finding who is behind the killing. They call upon retired Charlie Connelly who reluctantly agrees. The clues take him to the hot bed that is Ukraine. This series is absolutely captivating. 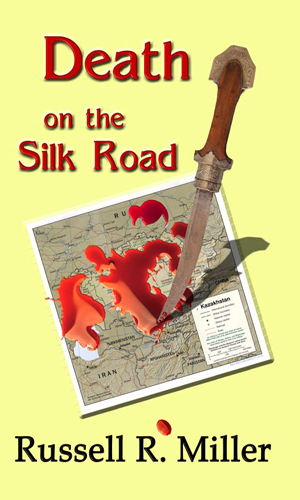 The prose is considerably different than most spy fiction you are likely to read, feeling far more like a travelogue than a traditional thriller but I could not put the book (Kindle) down. It flowed easy and gently and held my attention the entire trip. 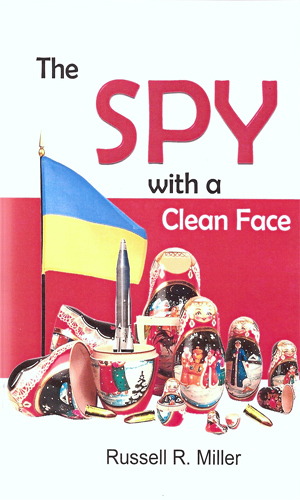 Much of the first book felt like a series of short stories, each one a separate mini-adventure in the ever-expanding life of the businessman turned impromptu spy, Charlie Connelly. This worked very well for it showed a progression from a man to whom action and excitement was quite foreign to a man who, at the end of the book, was saying a final farewell to the CIA but knew that it was not really the last he would hear from them and took it with almost a touch of anticipation. I might have read more into it than the author intended but that is how I perceived it. I feel it necessary to reiterate that the author's writing style is a bit stilted in that much of the book comes across as a report rather than a story and yet it held me and I was very impressed. I have to wonder what sort of reports Mr. Miller did in his corporate life - they must have been fascinating. As in many series where the story goes back in time telling a character's progression, a fair amount of the observations that the main character makes about the places he visits, be it Columbia or Vienna or Kiev, have a present-looking-back feel to them as in the man is seeing what the author knows has happened. However, it was also filled with great observations about the people and the land that might not have occurred to me and made me stop and think and it was obviously written by someone who knew what he was talking about. You got the feeling that you were there with the character, sitting on the same torn seats with ancient stale odors wafting about. I was particularly impressed with a comment made at the end of the first book where Connelly considered the changing of the guard at the CIA as the old-timers were being replaced quickly by new-comers. The experienced agents and leaders were a group of gray men having to deal with a black and white world. As I write this, I am well into the second book in the series. I know if Mr. Miller were to write a third, I'd buy it without hesitation. 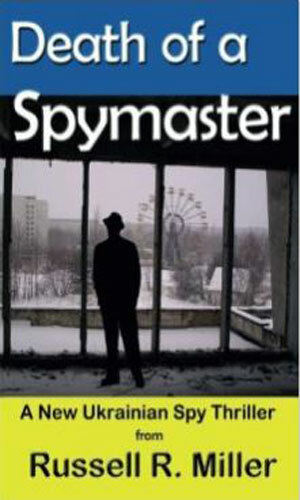 Again, it is quite a bit different from most spy-fi and I doubt the author would be compared as yet with the likes of Deighton and LeCarre and Hall and such but he entertained the heck out of me and that says something!